ARE YOUR TIRED OF TRADITIONAL SHELVES in your home? 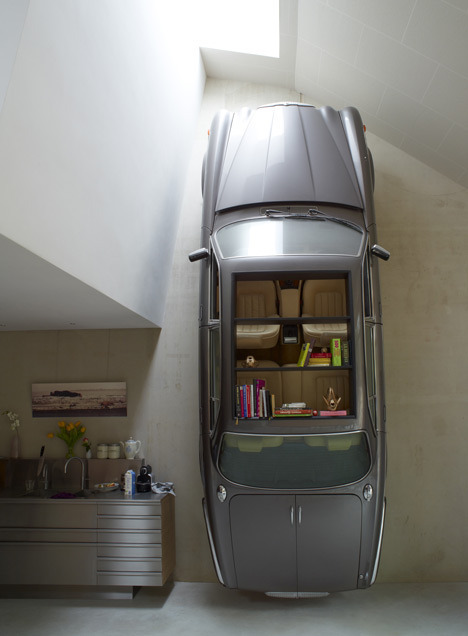 Do you have a spare luxury car sitting in your garage? Home owners have managed to top conventional shelves; installing an uncommon possession to your wall may be an interesting way to spice up a room. 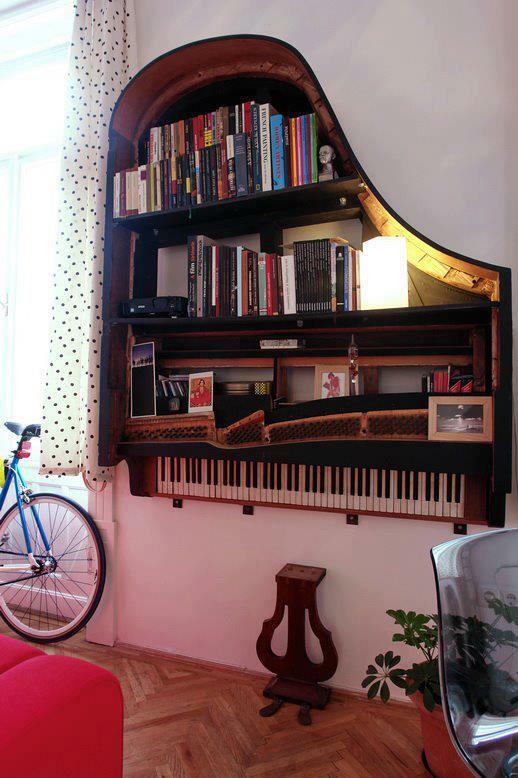 This is a good idea for odd pieces of furniture or belongings that you can’t seem to get rid of just yet. Installing a piano, or a car to your bedroom wall may prove to be a hassle – but the after product will win you some cool points in any interior design conversations you might run into at a dinner party.